Imagine spending 5 days of expedition in the Persian Gulf between the desert of Dubai and the Strait of Hormuz in Oman. You will immerse yourself in nature and get deeper into the beautiful innovations of these unique ecosystems. You may find inspiration for your next design but also change the way you live as a whole. Are you ready to fully immerse yourself in nature? We promise this experience will transform you, for the better! All of these great insights could be useful to build the masterplan for your next innovation whether you work as an engineer, designer or in strategy in your company or organization. You will first be exploring the desert of Dubai and then the surroundings of Khasab, one of the most beautiful place in the region. You will be guided throughout this journey by our fantastic team of facilitators. You will be learning by doing, putting new techniques into practice to design new solutions with the help of special tools such as the Circulab. Notions from design thinking, biomimicry and the circular economy will be taught and put daily into practice to improve your learnings outcomes. This training represents a fantastic opportunity to stimulate your creativity, think in a more holistic way and improve your problem solving skills with new techniques. Arriving from Dubai in the United Arab Emirates, we will establish our 1st camp base in the desert for one night where you will experience an authentic night in a desert tent. 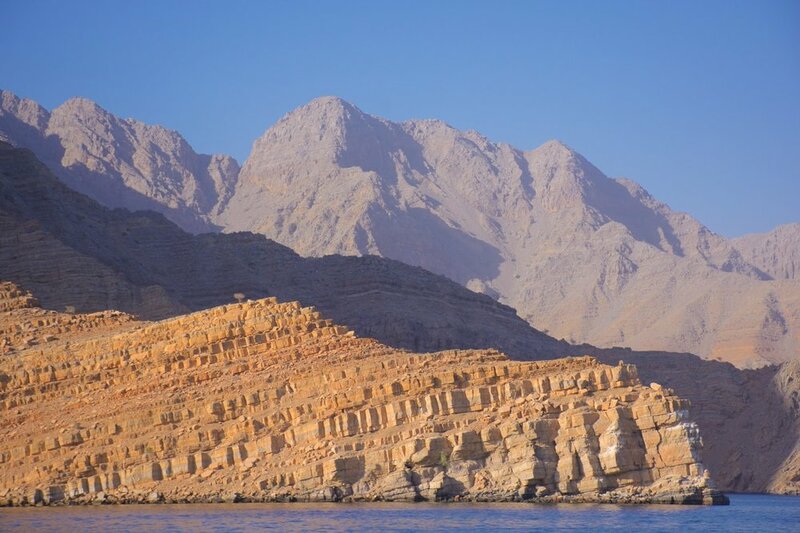 Our 2nd camp base will be in the Musandam Peninsula (in Northern Oman). Boarding a dhow (typical boat) at Khasab we will have a 3 days cruise along the fjords (2 nights on a beach camp, 1 night on board). This trip will include dolphin sightseeing, camel ride, observing bioluminescent plankton and a lot of unexpected fauna and flora along the way. Keep in mind you will need an extra visa for entering Oman and then returning to UAE (approximately 65 USD). Mornings will be moments dedicated for outdoor activities and exploration of nature with local naturalists where you will learn incredible strategies from fish, birds, algae and mammals. Afternoons will be dedicated to analyzing, relating and benchmarking for solutions to your challenges and broader human challenges. This program is dedicated to give you easy access to nature as a tremendous source of inspiration in your work (and also for your life in general). Expect to be surprised and amazed by nature's incredible sustainable and efficient strategies. You will also learn new processes and methodologies to innovate with nature when you come back home. The second part of this expedition near Khasab with a boat trip around the peninsula. We will all arrive on Sunday morning from Dubai to go directly to the desert. We will introduce you to the workshop and explain basics concepts that we will use during these 5 days together. Camels and falcons will be at the program that day. The Ghaf tree is a drought–tolerant, evergreen tree which is, possibly, the sturdiest plant of the harsh desert environment In the UAE. We will start this day by giving you instruction about your first challenge and group you in a first team. Each day is dedicated to a new challenge. Also you will change teams each day so you can connect and work with everybody during these days together. The unique and extreme desert ecosystem is full of lessons to survive and thrive even with limited resources. Lessons that can guide us in times of uncertainty and rapid changes that we know. During our desert trip we will discover some of these masters of adaptation and resiliency. In the late morning and early afternoon we will travel north to Oman and cross the border to arrive in Khasab (expect a 2-3 hours drive). During this day, we will start by an energizing game to open your 5 senses. We will do some snorkeling and discover the fjords of the peninsula during that day. We will also continue working on our challenges. In the afternoon we have imagine a series of exercises on the beach when we return to the land. A snorkeling morning will be organized with the boat in the morning. Hopefully you will be able to approach dolphins and for sure many fish during this activity. Back at our camp base, we will have lunch altogether and start gathering, commenting and analyzing our last insights in teams. 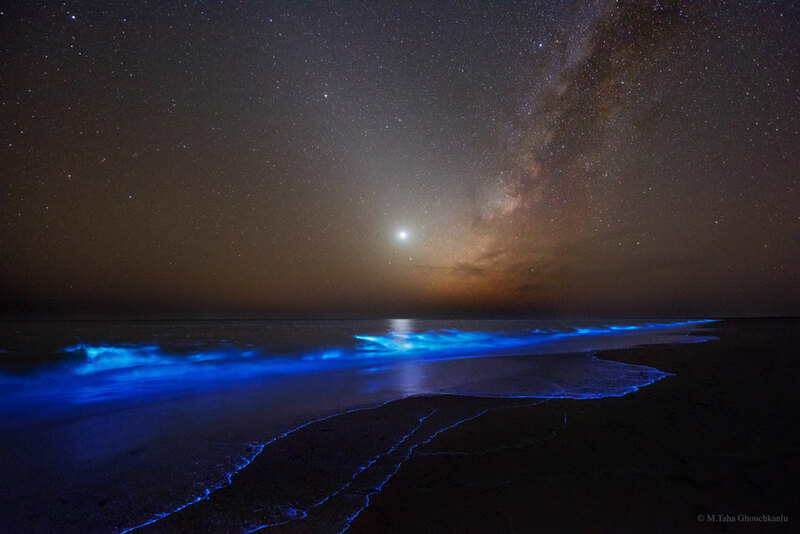 The late afternoon and evening will be dedicated for some time outside, followed by a walk to see sunset and organize a dinner outside on the beach where we will probably see bioluminescent plankton at night. The evening will be the time for contextualizing and reflecting on your discoveries and solutions. During this last day, we will be closing our challenges and present them before returning to Dubai. We will have a last lunch and prepare for departure around 2pm. Snacks will be provided for the return trip. Depending on your flight back, as an option a small tour of the local mangrove will be organized. This expedition workshop will be facilitated by our team members presented below and will be assisted by local biologisst. Laure Dumas is a consultant specializing in the personal communication for CEOs and managers, helping them to deliver authentic and inspiring talks or presentations. A graduate from Celsa, she joined the selection and coaching team of the TEDxCelsa for its first two series. Laure has always been captivated by the ingenuity and beauty of nature, of species, and of landscapes. From her childhood, she has listen to it and observed it. Naturally. So, it was an impacting discovery when she learned of the existence of biomimicry during a TEDxCelsa talk by Nicolas Buttin. At that point, she resettled in Dubai. Parallel to the development of her professional life there, she has discovered in this region an environment quite different from the typical “clichés” we often hear: the beauty of the desert, and the stunning ability of certain species to live in extreme conditions. She has also observed the diversity of marine life and has experienced the magic of bioluminescent plankton; or the importance and usefulness of mangroves. So many subjects that she has shared with "Innovate With Nature" and this has led her to join the organisation and logistic support team for this uncommon trip. Dubai Desert Conservation Reserve (United Arab Emirates) and a boat trip and beach camp in the Musandam Peninsula (Northern Oman). You will discover the surrounding nature by foot and snorkeling for our boat trip. With the help of biologists you will learn how local plants and animals adapt to their environment. During workshops our facilitators will equip you with design tools to extract the principles of nature’s strategies and solutions so you can apply them to your design challenges. Activities will not be very strenuous. It is better if you can swim as part of the trip will be on a boat and you'll enjoy snorkeling activities much better. - All accommodation and food between the 11th of November 10am to the 15th of November 2pm. - Transportation from your home location to the meeting point in Dubai and return trip. - An extra sleeping bag for the night. They are included but we advise that you bring your own for ideal comfort. The workshop will be refunded minus the processing fees if cancellation happens before the registration period ends on October 20th 2018. After that date no refund will be possible.